Caption: Backpacking. Usual load 60-65lbs. We carried a spring balance. The smile is natura.. 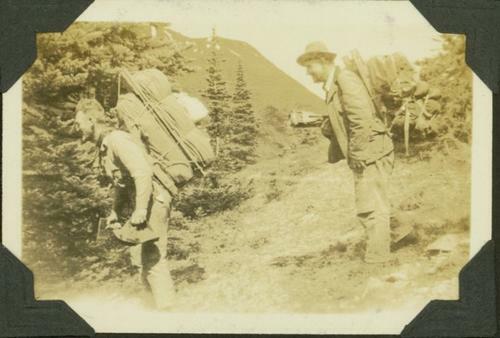 Item is a photograph of 2 survey crewmen trekking down a slope with packsacks on their backs.